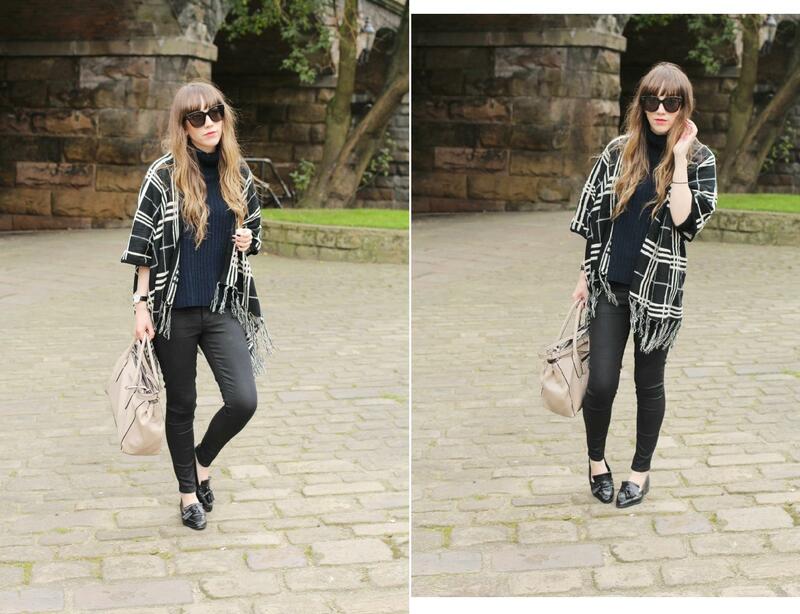 This is the second part of two outfits with Blue Vanilla (remember to check out their Facebook and Twitter) and I had to showcase this checked, tassle cardigan. It’s so cosy and I love the print, as it’s quite versatile and sits really nicely within my mostly monochrome wardrobe. Definitely an easy one to throw on and go! As for the rest of my outfit, I eventually got my mitts on a navy roll neck that I actually like. It’s much slouchier in person and oh so comfortable, with rolled-back long sleeves which are perfect for me (ie. someone who constantly has her sleeves over her hands). The shoes were a bit of a bargain, too. 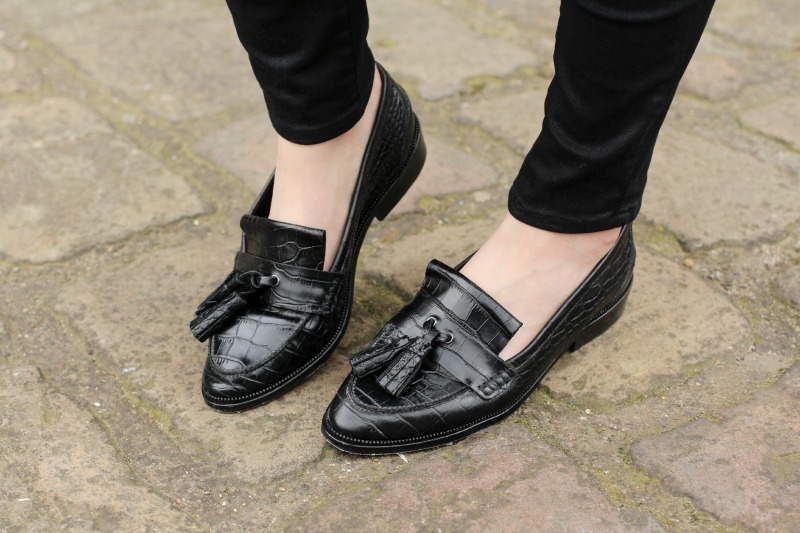 I spied them on The Kooples website, but at £195 (now £136!) I thought otherwise, until someone put a pair in my size on eBay which weren’t worn. Come at me, beautiful shoes. 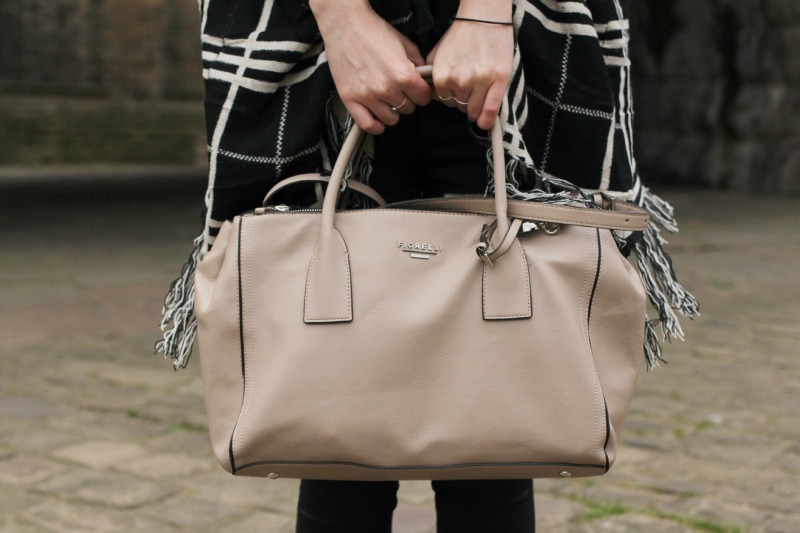 Oh and the bag too, My Bag have some great ones in stock, but this Fiorelli one really appealed to me as it’s like a small suitcase. As someone who takes around 3 days worth of clothes plus a laptop to her boyfriend’s every weekend, it’s the perfect choice! Anyway, today I’m off into town to see Amy to have a catch up, take blog photos and do some serious planning! I’ve got lots of outfits I wanna show you plus I’m gonna try and do some more lifestyle posts (mostly due to the inevitable awful North East weather!) so keep your eyes peeled for that.